Deutsche Bank is opening its data store to software developers from Germany and abroad as it looks for more digital solutions for its bank clients. Its site, developer.db.com, will from tomorrow (1 November) provide access to the bank’s proprietary development environment, allowing programmers to test their ideas for “digital services of the future”. The bank has opened an application programming interface, dbAPI, specifically for this purpose. Once they have registered, the interface is open for developers to use. 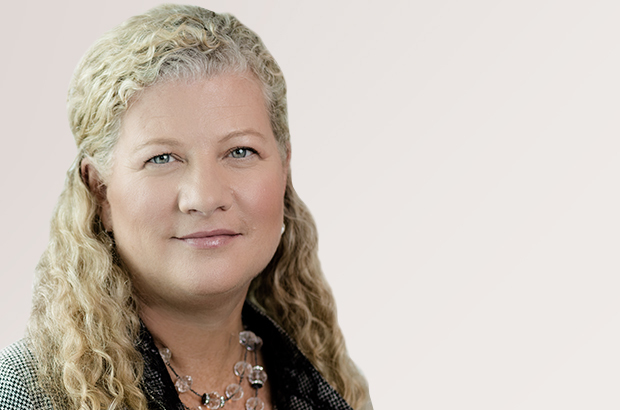 Kim Hammonds, member of the management board of Deutsche Bank and group COO, says the launch of its portal is a “further milestone” in its digitalisation plans. However, these digital ambitions have led to a reduction in its branch network and job cuts. Back to the launch, and Hammonds adds that the bank’s test data “reflects the profiles and needs of many millions of its customers”, which will help external parties and the bank “reduce” time-to-market for new products and services. The developer portal offers permanent access to a test environment. The launch version of the portal will gradually be expanded to include additional functions. The finished apps will later work with real customer data provided the client has explicitly consented to this. In return, Deutsche Bank says the client will, over time, be able to use an increasing number of apps. For example, an app might allow the members of a club or a residents’ association to manage their joint budget digitally in the future. 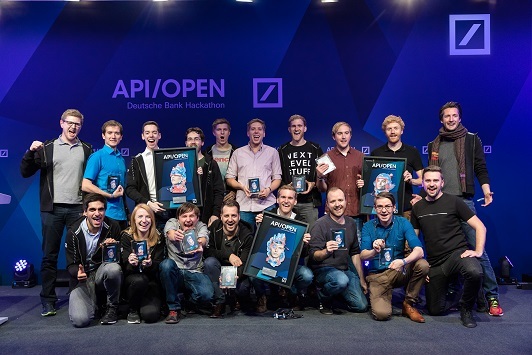 Last weekend (29-30 October) in Berlin, Deutsche Bank’s first hackathon, API/Open, made its debut. 14 teams comprising 70 participants from 16 countries were selected to take part in the programming competition and were given access to Deutsche Bank’s IT world via dbAPI for the first time. More than 150 teams with 750 developers, designers and “ideators” (really?) from around the world had applied to take part in the three-day hackathon. The winning teams received prize money totalling €50,000. The hackathon winners have the choice of exploring a collaboration with Deutsche Bank’s Digital Factory or presenting their ideas to the Axel Springer Plug and Play start-up accelerator. First place, along with prize money of €30,000, was awarded to the dwins team based in Frankfurt am Main for the “Finance Guru” app, which provides its users with assistance for concluding the necessary contracts when it comes to activities such as moving home. Second place, along with prize money of €15,000, went to the IntraBase team from Vienna for the “Flattr” app. This software enables residents’ associations, for example, to collaborate on managing their expenses. Third place, along with prize money of €5,000, went to the Finchild team for its app of the same name. The app provides children with an introduction to dealing with money, with help from their parents. The Tech Award was presented to the Fireflies team from Milton Keynes (UK) for an application called “AutoBudgie”. This digital assistant helps car owners to plan the costs related to purchasing, maintaining and repairing their vehicle.